We finally got started on our rotational grazing for the season. The animals were more than ready. 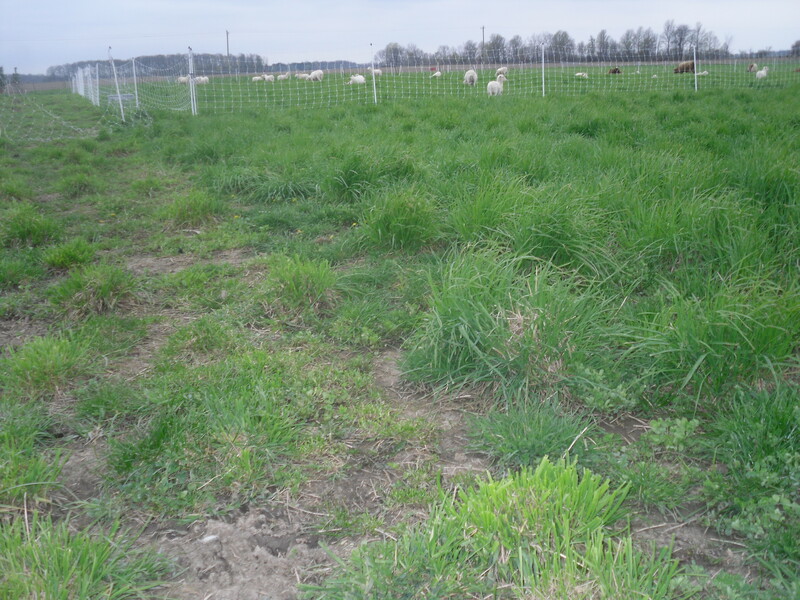 We had them closed off to one section of the pasture for two weeks, allowing the rest of the pasture to get some growth. 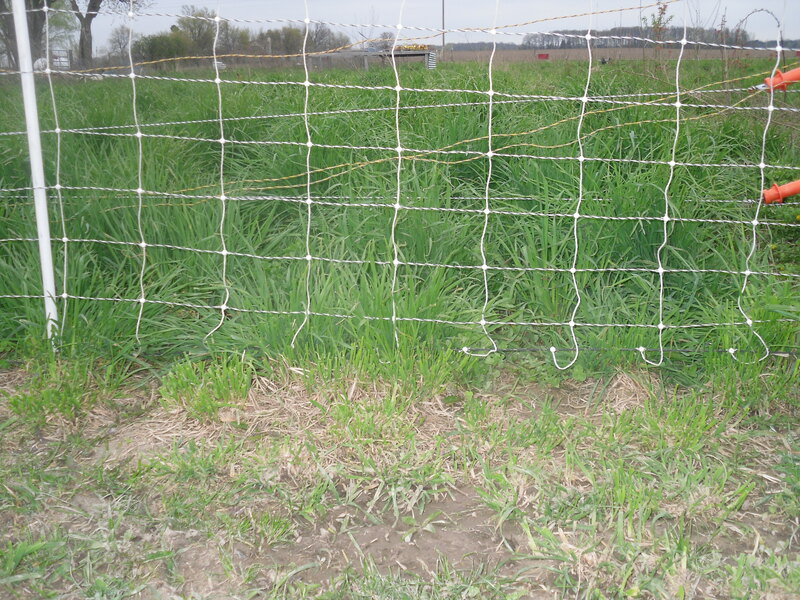 The first picture shows the fairly distinct line between the two sections of pasture. The rested pasture is six inches tall while the other section has been eaten to the ground. The second picture shows the difference of no grazing. Areas where the animals had not been permitted to graze at all are nearly a foot tall. This will be our second season of rotational grazing. We learned several lessons during our first season. Portable shelters must be fairly stout, which makes them less portable. The winds during severe storms and during the winter picked up and destroyed the portable shelters we built last summer. This year we are toying with no shelters since the animals’ coats protect them from the rain. However, we may also go with a few sturdy, less mobile shelters. Our sheep will not respect standard multi-strand electric fencing. They have discovered that if they stick their heads between the wires, any shock to their wooly coats as they go through the fence is nominal. The cows, however, rarely cross the fence. It doesn’t matter if you are feeding them the best quality, third-cutting hay available, sheep will still eat your pine trees. See #2 on the fence issue. That is why we will now use electric netting to keep the animals in place and is also why we have had to plant more pine trees. This past winter, we allowed the animals to have the run of the entire pasture, eating up any new grass in the early spring. You can see the difference in the grass that has not been touched. It may be better to have a “sacrifice” area closer to the barn, keeping the animals there the entire winter and allowing the rest of the pasture to get a better start. This should allow us to start our rotational grazing sooner in the season and save on hay. That will be something we try during this season. Don’t forget. We will be at the Zionsville Farmers’ Market beginning Saturday morning, May 18, from 8:00 a.m. – 11:00 a.m. We hope to see you there.